Whether you are planning to adopt a diabetic cat, suspect that your cat may have diabetes, or have a cat just recently diagnosed, there is a lot more that comes with caring for and traveling with your diabetic furry feline. Giving your furry diabetic friend the best chance at a healthy lifestyle brings a lot of emotional satisfaction and reward, so don’t be intimidated by the extra steps to care if this is all new to you. The following information will cover all of the topics: detailed overview of warning signs of diabetes in a cat, should you adopt a diabetic cat, how to travel with a diabetic cat (yes, you can! ), expenses and care related to taking care of a cat with diabetes, resources to help, as well as dietary and lifestyle advice. 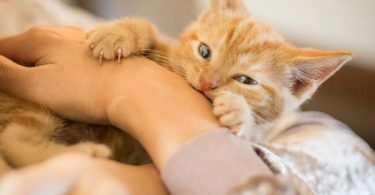 If you suspect that your previously healthy cat may be developing diabetes, here are the most common telltale symptoms to watch out for according to the vets at Pet Coach. If your cat is going out to pee more often than usual on a habitual basis, alert your vet, especially if combined with the excessive thirst. Excessive urination may also mean that your kitty doesn’t always make it to the litter box in time. If ignored, symptoms can quickly develop into ketoacidosis, a life-threatening condition where ketones (the building pieces of body fat) are broken down into the bloodstream. Symptoms of ketoacidosis would include all of the above, sometimes with vomiting, extreme weakness, and collapse. Can occur quickly once ketoacidosis begins, so call your vet as soon as you suspect your cat may have an issue. Even if it isn’t diabetes, it may be something else, so always better to be on the safe side. The sooner diabetes is caught in a cat, the easier it is to manage and even cure. Should You Adopt a Diabetic Cat? 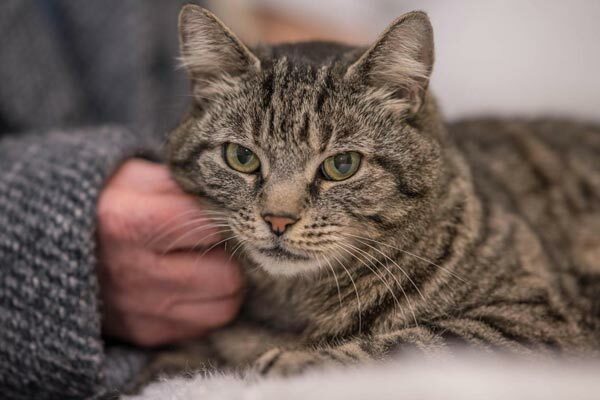 There are several factors involved and questions to ask yourself if you are thinking about adopting a cat with diabetes. Is your spouse or close family (that you live with) on board? While it shouldn’t need to be said, bringing any pet into a home where not all parties are on board is a bad idea, so always double check and discuss. While the expenses of caring for a diabetic cat will be covered in more detail below, here is a quick preview. Insulin is the biggest expense. The Cost will vary depending on what brand you need. Lantus is usually the most effective for controlling blood sugar and even bringing your cat into remission, but it is also the most expensive. Costs in the US are generally in the $250 to $400 range for a 10 ml vial, which may last you 3 or 4 months, depending on whether your cat needs one or two injections a day. While it isn’t actually that hard, caring for a diabetic cat for the inexperienced may present a little bit of a learning curve, from giving injections to monitoring blood sugar at home. While many diabetic cats (over 50 percent on Lantus and a low carb diet) go into remission, there are a few that never recover or have a much-reduced lifespan or painful complications from diabetes. If the answer to all of those is yes, then go for it and give that sweet kitty a loving a home. 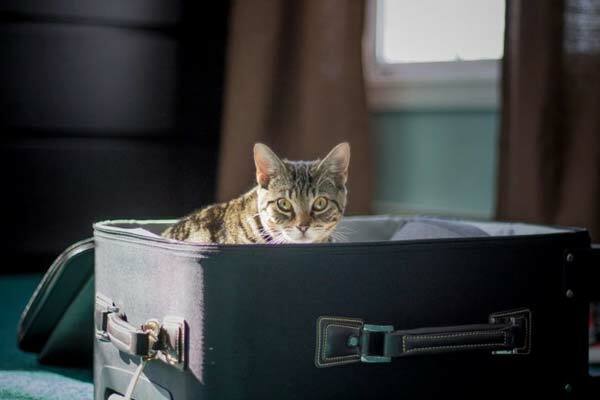 Chances are, you are going to have to travel somewhere at some point, whether it is a vacation, business trip, or family trip, so having a care plan for your kitty is essential. There are a few different options, the pros, and cons of which are reviewed below. If your cat is already used to traveling or doesn’t mind the cat carrier, then taking him or her with you may be the best option for you both. Keep in mind that insulin should always be kept cold in a mini cooler. There are various products or scents you can put on or inside the cat carrier to help relax your kitty, just research first to make sure they are safe. Leave the cat carrier around the house with a toy or food in it to familiarize your cat with it ahead of time. If you are traveling via plane, double check with the airline regulations to make sure you can bring your cat on board. Many airlines do allow it, provided your cat is in a special carrier underneath the seat. Other airlines may require that your animal travel as cargo (don’t worry; it will be in a heated and ventilated hold). Just keep in mind flight length times if you need to give your cat an extra insulin injection, as you are only allowed to care for them and take them out on layovers. It is essential that your diabetic kitty be comfortable with the cat carrier and a change of environment prior to traveling, as additional stress can wreak havoc on blood sugar levels. You can ask your friends if they know anyone with experience working with diabetic animals or do a search on one of the many care websites out there. You can also try calling humane care animal centers and shelters to see if they have any pet sitter recommendations. Ask for references. Some vets may or may not allow this, call way ahead in advance. Boarding facilities for animals may also be an option, just call around in advance and see if any have to experience with diabetic cats. Costs usually start at around $20/night, but that really depends on the facility. Only go this route if you and your friend or a family member are comfortable in their ability to handle your diabetic kitty’s need. One dose of insulin too much or missing the second dose could kill your furry friend. If you are still on the fence about adopting a diabetic cat, having a thorough idea of the expenses involved is essential. As mentioned above, insulin (particularly Lantus) is usually the biggest expense. If it isn’t quite in your budget, try looking into a Canadian pharmacy online. Oftentimes they will have drastically lower prices on insulin and other common drugs. While Lantus is usually effective, it may take trial and error to find the insulin that works best for your kitty. Ask your vet if doing a compounded Lantus medicine is an option, this will sometimes save on the financial side of things. The diabetic kitty needs more frequent checkups to monitor health. This will really depend on how well you and your kitty are managing diabetes, if the cat is living a very healthy and symptom-free life, checkups shouldn’t need to be more often than 6 months. A cat recently diagnosed or exhibiting ongoing symptoms may need much more frequent checkups. The cost of the checkup will go up considerably if bloodwork is needed. Always ask the vet for estimates on bloodwork and call around beforehand. There are a few different popular options when it comes to caring for your cat’s nutrition needs. Many diabetic cats are addicted to dry cat food, which is usually full of fillers and grains high in carbohydrates and low in nutrients. Many times dry cat food may be what brought on diabetes in the first place. Dry cat food is really the worst choice for any cat, but especially diabetic cats. Ignore the expensive prescription dry cat food at the vet’s office; it is usually just the same thing with a heftier price tag on it. According to Dr. Richard, Professor of internal medicine, cats are simply not able to process carbohydrates as well as humans. There are a lot of tasty wet cat food options out there. According to the vets at Petful, most experts recommend keeping your kitty on a mostly wet cat food diet with seven percent or less of it containing carbs. Some dedicated owners elect to make their own homemade mixes, whether raw or cooked. Just keep in mind that while some natural health pet advocates rave over the raw homemade petfood diet (like liver, meat, etc.) that many vets don’t recommend it because of the possible salmonella poisoning. If you do go the raw route, make sure your food is from local, healthy sources. There are a lot of delicious cat food recipes out there, most utilize a can of salmon, sardines, or cooked chicken blended with a tbsp. or two of brown rice or oatmeal, carrot or broccoli, and sometimes a touch of brewer’s yeast. If your kitty was recently diagnosed and you are feeling overwhelmed, just know that is normal. A little bit of a little learning curve and some research combined with lots of kitty love will get you (and your kitty) over the hump. Caring and monitoring your cat’s diabetes at home is much less expensive and less stressful than hospitalizing your cat after the first diagnosis. The most important things are monitoring blood glucose, ketone levels in urine, and giving injections, all of which your vet can show you how to do. Many vets will recommend doing a blood glucose curve in office, which may cost at least an extra hundred dollars. If you feel confident monitoring at home and your cat is not deathly ill, you can skip the curve. This YouTube video shows you how to administer insulin to your kitty. 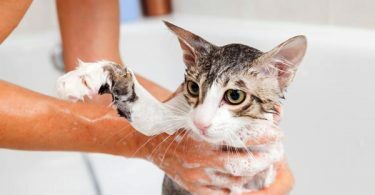 If you are worried about the extra expenses that come with caring for a kitty, remember that a healthy diet of wet cat food could put your cat into remission and possibly eliminate the need for insulin altogether. As Dr. Marty Becker, veterinarian, explains, diabetic cats are still capable of living a long and healthy life. Sometimes the stress of seeing your cat under the weather or learning how to handle their disease is going to feel overwhelming. Don’t be afraid to ask for support from any fellow cat owners in the area or even start a support group. The emotional reward that comes from caring for a chronically ill pet cannot be measured.